Matt Metheney performed at the 2018 and 2016 CMA Music Festival in Nashville. GALLIPOLIS — Thursday evening, in the Pavilion at the French Art Colony, Matt Metheny will be performing as the guest artist. 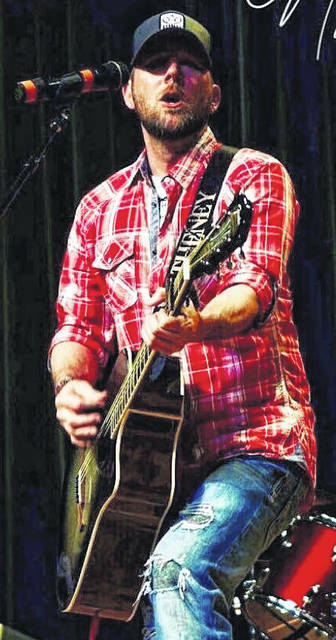 He is a singer-songwriter from southeast Ohio and has opened for many acts, including Kane Brown, Luke Combs and Chris Jansen. He performed at the 2018 and 2016 CMA Music Festival in Nashville. Currently, he has three songs on the radio, iTunes and Spotify. He plans the release of his first album this year, along with a music video. He can be found on Facebook, Instagram and Twitter, under Methenymusic.com. Gates will open Thursday evening at the Pavilion, on the grounds of the French Art Colony, at 6 p.m. Food will be catered by Courtside, with dessert from Taproot Farms, along with legal beverages, all for purchase. Tickets will be for sale, to win a stay at a beach front Garden City condo. They are $5 each or three for $10. A winner will be drawn on August 30, the final night of Hot Summer Nights. In addition, original “Hot Summer Nights” tee-shirts may be purchased. All proceeds from both sales will be used to buy fans for the Pavilion, to make it more comfortable, during the hot summer months. Admission is $5 per person and is free for FAC members, as a benefit. For a schedule of the remaining live music performances, in the Pavilion each Thursday evening during August, or for any additional information, call the French Art Colony at 740-446-3834.